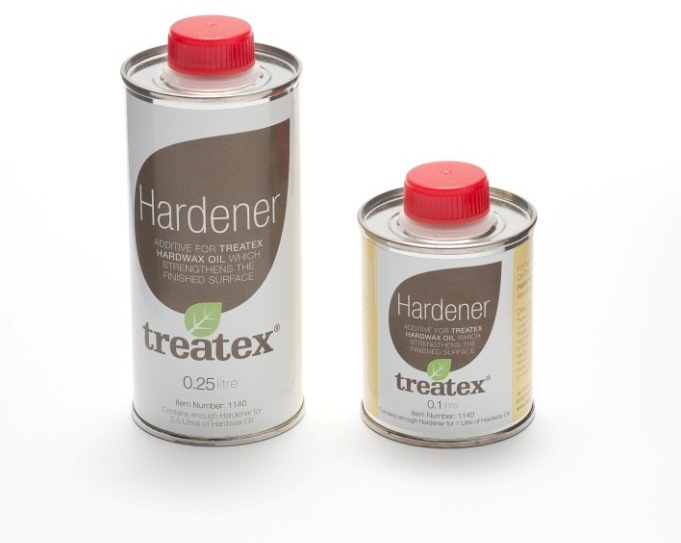 As an additive for Treatex Hardwax Oil Clear, Treatex Hardener can be simply mixed in a ratio of 1:10 to increase the mechanical resistance and durability of the finished surface. Please note that the addition of the Hardener to the Hardwax Oil Clear starts an chemical reaction and the mixture remains usable for up to 3 hours. We advise that you only mix enough for one coat at a time.